On this page you can find my master (home) DX logs and travel logs. My master DX logs, linked below, date back to 1999. Click on the link in the ‘Link’ column to either download, or view, the respective DX log. You can view FM RDS and HD Radio screenshots from stations logged below by clicking here. You can see corresponding TV reception screenshots from stations logged below by clicking here. The majority of signals included in my DX Logs have been received at home. However, I consider any station received within 30 miles of my home (via car radio or at an alternate location) eligible to be added to my log. Reported mileages are accurate regardless of logging location, and signals that were logged away from my home are noted accordingly in the log. The main DX logs are updated regularly as new DX is received, typically during the warmer months. 4/16/19 Woodbridge, VA AM DX Log 274 stations logged since 5/9/99. 7/20/18 Woodbridge, VA FM DX Log 1910 stations logged since 3/9/99. 7/11/18 Woodbridge, VA TV DX Log 223 stations logged since 8/4/06. As a DXer, traveling is a fun way to see and hear what the radio dial is like in other areas. Whenever possible, I like to create new DX logs while I am away from home. Click on the city name below to view each log in HTML format. RDS and HD Radio screenshots are added to the logs below when received. 3/13/19 Pittsburgh, PA 96 stations logged from 3 visits. First visit 8/19/16. 3/13/19 Somerset, PA 67 stations logged from 1 visit. 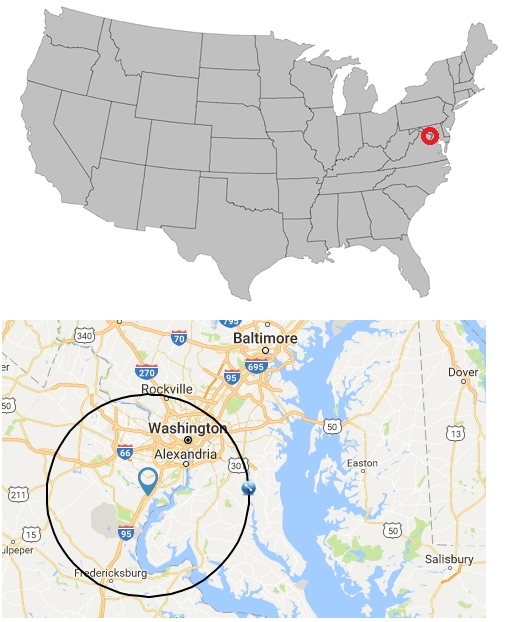 3/13/19 Hagerstown, MD 108 stations logged from 3 visits. First visit 1/16/16. 2/19/19 Norfolk/Virginia Beach, VA 102 stations logged from 5 visits. First visit 5/9/99. 2/19/19 Richmond, VA 135 stations logged from 4 visits. First visit 6/12/12. Includes Sporadic E reception. 12/31/18 Woodstock, VA 117 stations logged from 5 visits. First visit 11/19/00. Includes Sporadic E reception. 10/28/18 Minneapolis, MN 82 stations logged from 1 visit. 10/28/18 Green Bay, WI 80 stations logged from 1 visit. 10/28/18 Madison, WI 92 stations logged from 2 visits. First visit 5/19/16. 10/28/18 Chicago, IL 66 stations logged from 2 visits. First visit 5/14/16. 10/28/18 Grand Rapids, MI 61 stations logged from 1 visit. 8/24/18 Kansas City, MO 80 stations logged from 1 visit. 8/24/18 Wichita, KS 56 stations logged from 1 visit. 8/24/18 Omaha, NE 42 stations logged from 1 visit. 6/30/18 Hartford, CT 101 stations logged from 2 visits. First visit 9/18/16. 6/30/18 Manchester, NH 75 stations logged from 1 visit. 6/30/18 Brattleboro, VT 31 stations logged from 1 visit. 6/30/18 Raleigh, NC 97 stations logged from 2 visits. First visit 5/16/15. 6/30/18 Myrtle Beach, SC 224 stations logged from 2 visits. First visit 6/26/12. 6/30/18 Providence, RI 94 stations logged from 1 visit. Includes Sporadic E reception. 6/30/18 New York, NY 106 stations logged from 3 visits. First visit 4/15/15. Includes Sporadic E reception. 4/27/18 Columbus, OH 91 stations logged from 1 visit. 4/27/18 Cincinnati, OH 66 stations logged from 1 visit. 4/27/18 Charleston, WV 56 stations logged from 1 visit. 4/27/18 Harrisonburg, VA 49 stations logged from 1 visit. 11/21/17 Las Vegas, NV 51 stations logged from 2 visits. First visit 4/1/13. 11/21/17 St. George, UT 46 stations logged from 1 visit. 11/21/17 Phoenix, AZ 67 stations logged from 1 visit. 11/21/17 Tucson, AZ 57 stations logged from 1 visit. 11/21/17 Flagstaff, AZ 55 stations logged from1 visit. 11/21/17 Grand Canyon, AZ 33 stations logged from 1 visit. 11/21/17 Baltimore, MD 62 stations logged from 2 visits. First visit 5/10/14. 9/14/17 Philadelphia, PA 146 stations logged from 3 visits. First visit 4/18/14. 9/14/17 Atlantic City, NJ 85 stations logged from 1 visit. 9/23/16 Boston, MA 99 stations logged from 1 visit. 9/23/16 Albany, NY 67 stations logged from 1 visit. 9/23/16 Portland, ME 86 stations logged from 1 visit. 8/22/16 Cleveland, OH 74 stations logged from 1 visit. 5/30/16 Springfield, IL 49 stations logged from 1 visit. 5/30/16 Indianapolis, IN 74 stations logged from 1 visit. 5/30/16 Davenport, IA 82 stations logged from 1 visit. 5/30/16 St. Louis, MO 72 stations logged from 1 visit. 4/23/16 Atlanta, GA 62 stations logged from 1 visit. 4/23/16 Birmingham, AL 59 stations logged from 1 visit. 4/23/16 Huntsville, AL 43 stations logged from 1 visit. 4/23/16 Nashville, TN 73 stations logged from 1 visit. 4/23/16 Chattanooga, TN 49 stations logged from 1 visit. 2/21/16 Roanoke, VA 66 stations logged from 1 visit. 2/21/16 Lynchburg, VA 44 stations logged from 1 visit. 2/21/16 Charlottesville, VA 50 stations logged from 1 visit. 6/21/15 Tampa, FL 139 stations logged from 4 visits. First visit 3/28/99. 6/21/15 Vero Beach, FL 48 stations logged from 1 visit. 6/21/15 Miami, FL 75 stations logged from 1 visit. 6/21/15 Ft. Myers, FL 52 stations logged from 1 visit. 4/18/15 Houston, TX 69 stations logged from 1 visit. 4/18/15 Thackerville, OK 65 stations logged from 1 visit. 4/18/15 Kerrville, TX 53 stations logged from 1 visit. 4/18/15 San Antonio, TX 61 stations logged from 1 visit. 4/18/15 Austin, TX 56 stations logged from 1 visit. 4/18/15 Waco, TX 64 stations logged from 1 visit. 4/18/15 Dallas, TX 72 stations logged from 1 visit. 8/24/14 Cheyenne, WY 38 stations logged from 1 visit. 8/24/14 Denver, CO 61 stations logged from 1 visit. 8/24/14 Los Angeles, CA 80 stations logged from 1 visit. 6/8/14 Luray, VA 77 stations logged from 1 visit. 3/11/05 Tyler, TX 63 stations logged from 1 visit.